Emerald City Reiki Center e-mcity.com & emcityreiki.com 1(800)379-8315 Massage Gear Store offers premium massage and reiki tables and equipment. 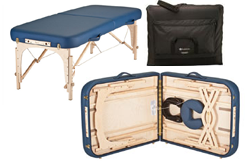 Our top of the line products include portable massage tables, reiki massage tables, electric and hydraulic lift massage tables, spa, salon and resort massage tables including manicure and pedicure chairs. 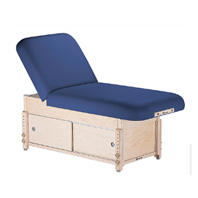 All of our products are designed to improve the efficiency of your massage, reiki, medical, acupuncture, chiropractic or other health care practice.Our massage tables are available in a wide array of earth-friendly vinyl colors with ecologically- resourced wood or lightweight steel frames. 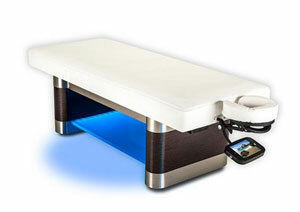 we sell all of the top massage table manufacturers including Earththlite, Living Earth Crafts, Pisces Productions, Stronglite and Inner-Strength. 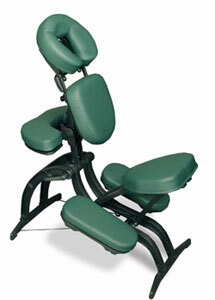 We offer cash, hospital, government, professional, school and student discounts on all our massage products. Call us at 1(800)379-8315 or email us. Find us and like us "Emerald City Reiki Center" on Facebook for discounts. Emerald City Reiki Center emcityreiki.com is an Usui Reiki Center offering both Jikiden Reiki Shoden and Okuden and also 1st degree and 2nd degree Usui Shiki Ryoho Reiki usually scheduled on weekends each month. All of our Reiki classes are held either the Upper Rainier Beach area of South Seattle WA 98118 or in the Wallingford neighborhood of Seattle WA 98103. Call us or email us about the Usui Reiki classes we offer or about Reiki treatment. We schedule Reiki treatments on Mondays in Wallingford. Let's have a real conversation about Reiki. We offer an apprenticeship Usui Shiki Ryoho Reiki Mastery level on an individual basis with a prerequisite of Ist degree & 2nd degree Ushiu Shiki Ryoho Reiki and other requirements.Our next Ist degree Reiki class on Sunday January 6 2019 in the Wallingford neighborhood of Seattle. Our next 2nd degree Reiki class is on Sunday January 13 2019 also in the Wallingford neighborhood of Seattle 1st degree seminars are one day long. 1st degree costs $150 USD. 2nd degree Usui Shiki Ryoho semars are also one day long and cost $500 USD. 1st degree Usui Shiki Ryoho is a pre-requisite for 2nd degree Usui Shiki Ryoho. Class times are 9:30 am - 5:30 pm.